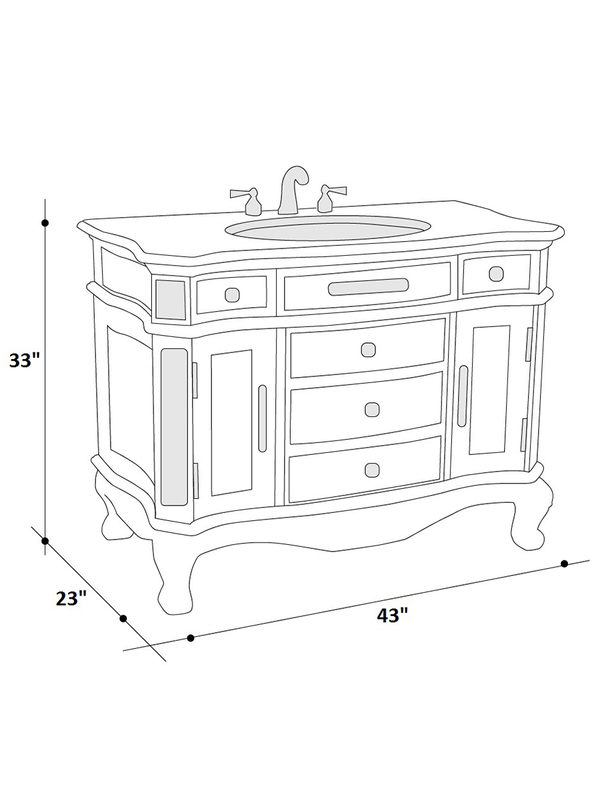 With its warm Antique Red finish and the intricate detailing along the sides, top and bottom of the 43" Helena Single Bath Vanity, your bathroom will be completely transformed with style. This vanity's cabinet boasts two single-door cabinets, three large drawers and two smaller side drawers of storage room, ensuring that you have plenty of space for all your bathroom accessories. Each cabinet door is adorned with Antique Brass handles while the drawers are equipped with matching knobs. 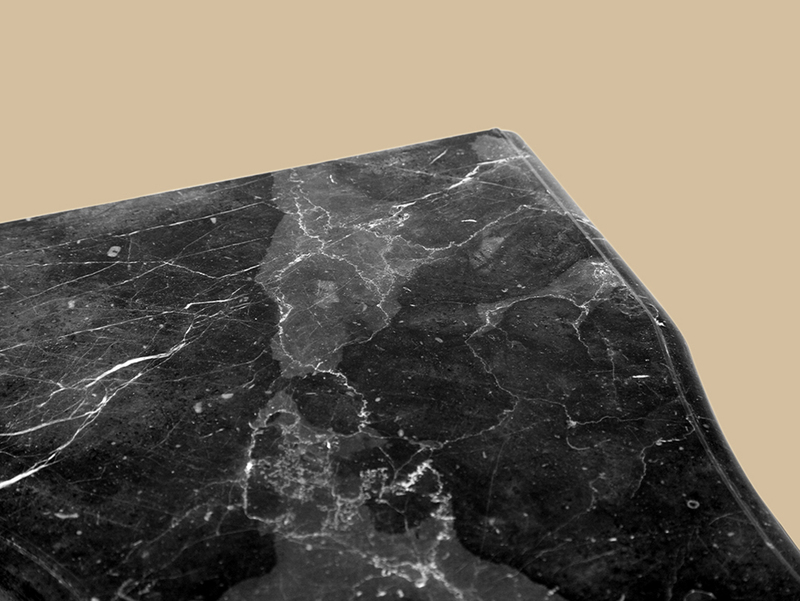 The top gives a cooling complement to the warmth of the cabinet and is made of Dark Emperador Marble.